DEVILS LAKE, N.D. -- An attempt to stop a pickup truck with a loud exhaust system led to a wild chase in which the driver shot at a trooper, stole a car with a baby inside, took two other people hostage and eventually shot and wounded himself, authorities said. Only the pickup truck's driver, Daniel TwoHearts, was hurt during the ordeal, which began Thursday night with the attempted traffic stop in Grand Forks and ended Friday night with TwoHearts shooting himself in an apartment in Devil's Lake, about 80 miles west, authorities said. TwoHearts, who shot himself as officers began to negotiate with him to surrender, was hospitalized with an apparently non-fatal wound, Devil's Lake police Capt. John Barnett told the Devils Lake Journal. "People can relax. It got a little tense for a while in town," he said. 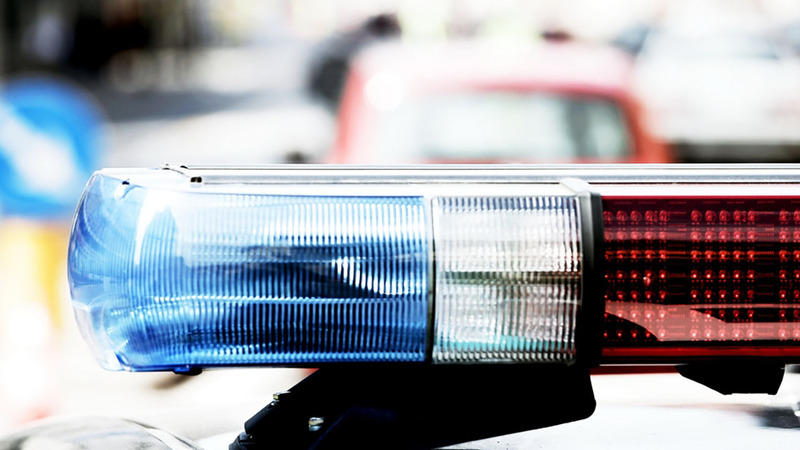 It began when a trooper tried to pull over a pickup truck with a loud exhaust on Interstate 29 in Grand Forks, which is along the state border with Minnesota, according to the North Dakota Highway Patrol. Instead, the driver tried to get away, reaching speeds of about 100 mph before law enforcement put down tire spikes, stopping the pickup about 40 miles down the highway. The suspect jumped out and fired three shots at a trooper, who wasn't injured and didn't return fire, said patrol Lt. Troy Hischer. Two others in the pickup were arrested and methamphetamine was found in the truck, authorities said. Meanwhile, TwoHearts ran into a neighborhood and jumped into an idling car with an infant inside it. "The mother had started the car to warm it up, brought out the 1-year-old, then went back to retrieve an older child" when the suspect drove off, Hischer said. Officers spotted that car on a county road about 20 miles away, again deployed road spikes, flattening the tires and recovering the infant unharmed, but TwoHearts got away again. After dawn Friday, another truck was reported missing, and was later found abandoned at the Wal-Mart in town. Law enforcement agencies in North and South Dakota and Minnesota were on the lookout, but Devils Lake Police and other agencies caught up with TwoHearts Friday night, barricaded inside an apartment with two hostages, Barnett said. "We got the female out and the other male, and he was isolated" when they heard a shot fired and then forced their way in, he said.